Kindness is the act or the state of being kind. Mark Twain summarized kindness when he said it is “the language which the deaf can hear and the blind can see”. The World Kindness Day was introduced in 1998 by the World Kindness Movement. It is observed in over 20 Nations, including UK, Canada, Japan, Australia, Nigeria and The United Arab Emirates. Today countries all over the world are recognizing this day as an act of goodness towards others, it involves people to think about more than ourselves and make the world a better place because of it. 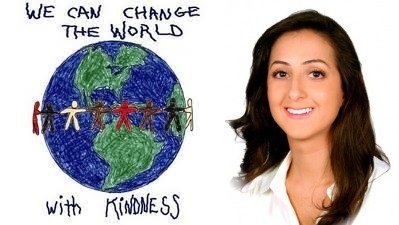 As a psychologist it is important for me to spread the word about kindness and the importance of how being involved in altruistic acts can increases our own happiness. Whether you are a person that holds there tongue and do not do something proactive to be kind to others, today is the day that you can play your part. Today on the13th of November, you are asked to perform selfless acts of kindness towards others and spread the Kindness movement. What will you do?